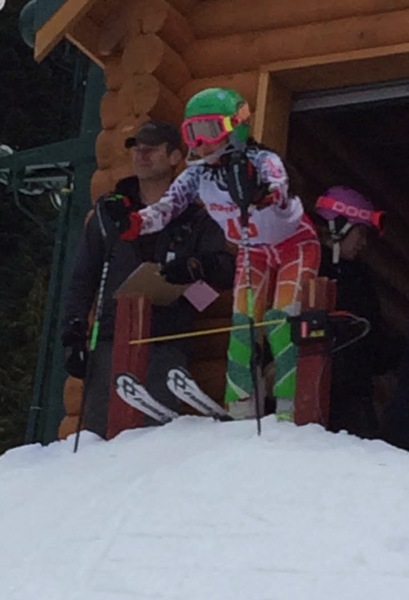 This weekend was the first slalom race for the kids. I am proud of the kids. I don’t know about you but when I was in grade school I don’t think I could get in the starting gate for a slalom race in front of lots of people. But this statement isn’t quite true for my kids as they really don’t like pizza that much even though I have a pizza oven. :-) We do want success for the kids and their is more to sports than winning. What is sad is to see some of the kids talking to their team members asking what their time was. No statement "great race. You did well." Just "what was your time?” Thinking I know I beat you. I want to hear your time. Most of the parents don’t bother asking the kids or parents what time the others had they just go to the live timing site and look up their kids time vs. others. http://live-timing.com/races.php. I’ve heard some people say it is fun to look up the times. No it is not fun to look up the time of your child vs. others. It is an addiction to think you are better because your kid beats another. My son isn’t the top in the group. He is ecstatic to be make it into the top 10. What I did notice though when I recorded some videos is what happened to many other kids racing vs. mine. When my son enters the starting gate you can hear girls and boys same age and up to 4 years older calling his name. Below is the video of my son starting. The best part is hearing the kids cheer him on. There are others who get to the starting gate and there is not a single person calling out their name. Why? Others on the team don't know the person. Those in their age group have raced down the hill ahead of them and are at the bottom of the hill or they are behind them in line waiting their turn. The kids watching are the kids who have already made their run and came back up to cheer on their team mates or the others who have to wait a while before their turn. Oh and many of those kids who don’t hear the words of support are the same kids who are focused on being #1. The time they get is what is important. Thanks Mom for making the priority to have the best time. My son has the talent and focus to make friends. He knows their names. Cheers them on. Says good things about their racing. Eats lunch with them and hangs out playing games. Not to beat them, but to be social and have fun. Is it fun to race with your friends and cheer their victory or is it fun to look at the scoreboard and know your child beat another due to their competitive obsession, best gear, best training, and hope others miss a gate who might have beat you? This kind of reminds of what goes in many companies with overly competitive employees who think being #1 in performance is the most important thing to focus on, caring little if they get along with others and work as a team.